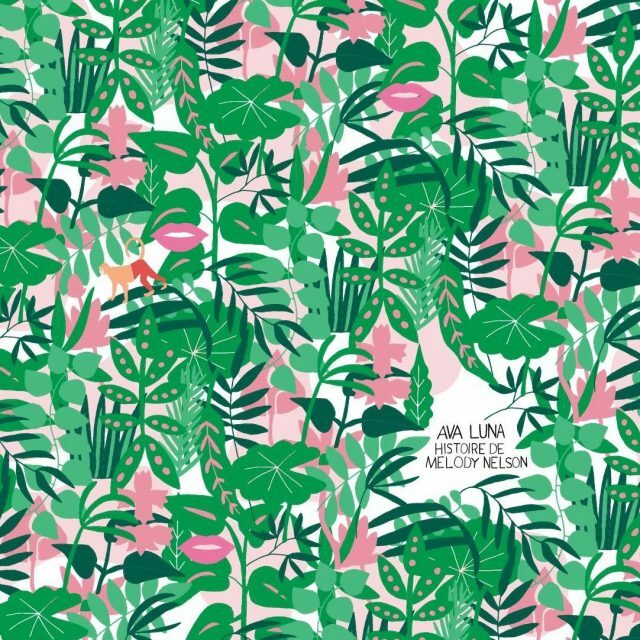 As we announced via Brooklyn Vegan awhile back, the latest release in our SOUNDS DELICIOUS series finds Brooklyn-based Ava Luna tackling a full album cover of Serge Gainsbourg‘s 1971 classic Histoire de Melody Nelson. And, wow, they did not take the responsibility lightly. Their version is fittingly orchestral. There’s a string section. There’a choir. There’s a timpani. And, on top of it all, they have comedian/writer Lorelei Ramirez playing the part of Melody. It’s thoughtful, courageous and, maybe most importantly, it’s absolutely stunning. We’re incredibly honored to be able to share it with you. “We first performed Histoire de Melody Nelson at the 2016 Northside Festival. We were invited by the 33 ⅓ book series, who published a volume on the album. We took note of the histrionic language the author used to talk about Serge’s life and the cultural context which begat his persona and this album… but also of the male author’s interesting decision not to pursue the basic line of inquiry, ‘what about Melody?’ Maybe it had to do with the author’s maleness, or the fact that the album (and book) were conceived during a period in history before the general public was interested in questioning how powerful voices in art normalize the male gaze as a weapon against women. It seemed to us that as dutiful listeners (or readers, or viewers), we could hold these icons up under the fluorescent light, deconstruct their motivations, and maybe even process them as fuel in the march towards a better society. So, we faithfully recreated this record, with some key alterations: Becca steps into Serge’s shoes; comedian Lorelei Ramirez lends a self-aware and critical interpretation of Melody; and a subtle counter narrative is offered from Melody’s perspective. As a band, our sounds have at times been influenced by Serge Gainsbourg, and we acknowledge the contradiction. Consider this a callout, not just of Serge per se, but of every powerful artist from the past, whose ideas live on in some form or another, distilled. Let’s not forgive, and absolutely not forget, our predecessors. Instead let’s take them off the shelves and hold them up to the light. Ava Luna’s version of Histoire de Melody Nelson is only available by subscribing to SOUNDS DELICIOUS. In addition to a deluxe edition for our Kickstarter supporters, it’s available on doublemint colored vinyl for recurring subscribers and gift orders of 6-months or more (while supplies last) and on black vinyl for all other orders. As always, each copies comes packaged with a digital download of the album. Only 1000 copies were pressed in total! These are expected to begin shipping at the end of the month. If you’re in the New York area, you have a rare opportunity to catch Ava Luna performing the album live at Joe’s Pub in Manhattan on February 10th!